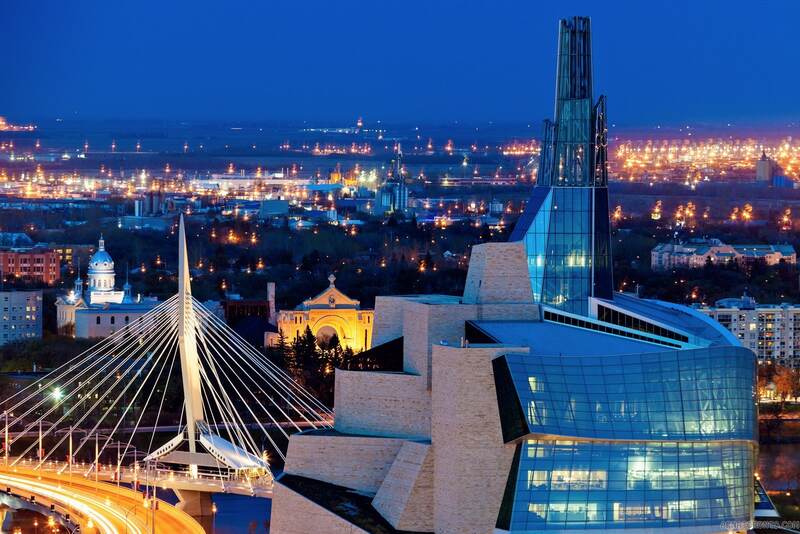 The Manitoba Provincial Nominee Program (MPNP) exists in order to fulfil the requirements of the Government of Manitoba for skilled workers in the province (it is predicted that there will be a shortfall of 20,000+ skilled workers by 2020). Under the program skilled workers and business people can apply for permanent residence based on the skills and/or investments they have to offer. If the Government of Manitoba approves an application, that person's request for permanent residence will be forwarded to Immigration Refugee and Citizenship Canada (IRCC) as a "provincial nominee." It's important to remember that the final decision will be made by the IRCC and being a provincial nominee is no guarantee of a grant of residency status, although obviously it counts enormously in the applicant's favour. If an applicant is accepted s/he will be granted permanent residency status along with her/his dependents (spouse/common-law partner, unmarried children under 19 and children over 19 who rely on the applicant for care due to physical or mental health needs). Applications will not be considered for the MPNP by those claiming refugee status or who are in the process of being removed from Canada or are appealing a federal removal decision; live-in caregivers; those working in other Canadian provinces; those who are married to permanent residents or Canadian citizens; those who have been refused by the MPNP in the previous six months and those who are currently applying to any other Canadian provincial immigration program. There are two streams through which applicants may submit their request for residency status in Manitoba, the MPNP for Skilled Workers, which is for workers who have the qualifications and experience needed in Manitoba workplaces, and the MPNP for Business, which is for experienced business people who wish to take up permanent residence in Manitoba while establishing, taking over or taking a partnership in a business. The requirements for application under both these streams are detailed below. Skilled workers will be nominated to the IRCC by the MPNP if they can prove that they have a strong connection with Manitoba (e.g. having already worked there, having relatives there) and that they have the experience, education and skills (including language skills) to have a positive impact on both business and the community in Manitoba. Applications are accepted in two categories in this stream, Skilled Workers in Manitoba and Skilled Workers Overseas. You should apply under this heading if you are a temporary foreign worker or an international student working graduate who has been working legally in Manitoba for at least six months of full-time employment. You must have a long-term, full-time job offer from the same company for whom you have been working. Your employer must be able to demonstrate that they are genuine established business and that your job will be a long-term one. Temporary foreign workers should be able to show a valid work permit and written confirmation from their employer of their job offer. They must also show proof that they are qualified/trained for the proposed job, that they have proficiency in English or French to a level that will enable them to do the job and that they have clear plans for basing their work and family life in Manitoba for the long-term. You are only considered eligible in this category if you have graduated from a post-secondary educational establishment in Manitoba. You also have to have worked for six months full-time on a valid post-graduation work permit and have a long-term job offer from the employer for whom you have been working. You must have attended an authorised Manitoba educational establishment and taken a recognised diploma, certificate or degree on completion (language programs are not accepted in this category). Your program of study must have been full-time and lasted at least one academic year. You must also demonstrate that you are planning to settle in Manitoba long-term and that you have all the qualifications and language skills necessary for your proposed employment. Manitoba Support: a friend or (non-close) relation who is an established resident of Manitoba and can approve your plans to settle and get work in the province. This person must not be supporting the application of any other person apart from yourself. Close family: a sister, brother, niece, nephew, aunt, uncle, first cousin, mother, father, grandmother or grandfather resident in Manitoba who can provide support as above. These supporters are permitted to support the application of more than one relative at a time. Experience: if you can prove that you have successfully lived, worked and/or studied in Manitoba in the past. This stream exists for applicants who wish to take up permanent residence in Manitoba in order to establish, take over or partner in a business. Applicants are required to make a $100,000 good faith deposit which will be refunded once they have fulfilled the terms and conditions established. Applicants must be able to demonstrate personal net worth of $350,000 and three years' experience of either successfully owning and running a business or working for a business as a senior manager at executive level. In addition applicants must register a score of 60 or more on the MPNP adaptability matrix, which assesses applicants by age, business knowledge, business experience, net worth, proficiency in French or English and connections to Manitoba. Applicants interested in this stream should initially submit an online expression of interest to the MPNP.